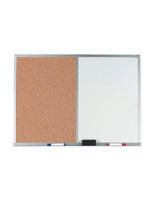 This Cork Board Is Half Cork and Half Dry Erase Board Framed in Aluminum Metal! This Cork Board Is a Wall Display that Comes with Markers and an Eraser When Purchased from CorkBoards2Go.com! 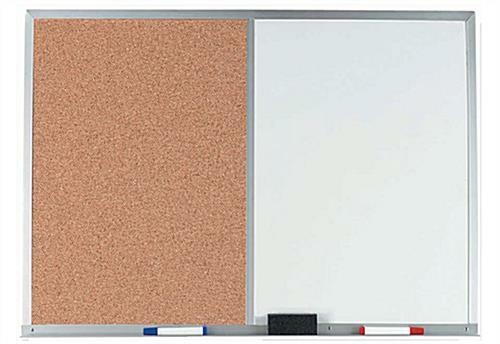 Common Size: 36" x 24"
48" x 36" 72" x 48"
A cork board with white marker board integrated is perfect in many professional locations, including schools, meeting rooms and office lobbies. 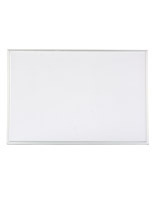 Dimensions of this board are 36" wide x 24" high with a satin anodized aluminum frame to embellish your decor (Markerboard: 18" x 24"; Corkboard: 18" x 24") . 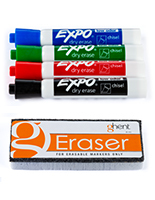 Your writing surface is a dry erase board, for which we supply you a set of colored markers and an eraser. 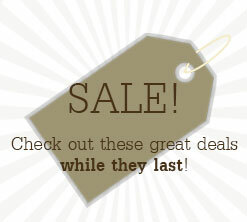 It's ready to use once you hang it...mount on your wall with the provided hardware. Includes storage tray to handily hold your markers and eraser. 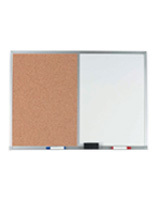 Post your paper memos on the cork board...the unit lets you communicate with your workers, students or customers two methods for increased competency. This unit ships via UPS or FedEx.